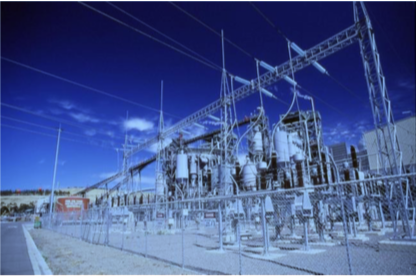 ASX tech small cap, IOT Group (ASX:IOT), today revealed it has inked an agreement with Hunter Energy to develop a Blockchain Applications Centre (BAC) behind a grid and directly into a power station in NSW. This is a critical first step in IOT Group’s newly created blockchain strategy, fast-tracking its exposure to this burgeoning Internet of Things (IoT) space. Hunter Energy is currently working to recommission an existing power station in the Hunter Valley, and to acquire all of the associated assets, aiming to begin generation in the first quarter of 2019. If all goes to plan, IOT Group could be able to obtain power at wholesale pricing — this, in turn, will make Australia an especially appealing location for international blockchain operations, enabling IOT Group to assist potential clients to more cost-effectively operate and manage their blockchain businesses, two hours away from Sydney. Moreover, IOT Group will be the first in Australia to offer these kinds of pre-grid cost-effective prices to blockchain operators, making this a sizeable landmark for the company. This latest piece of news from IOT Group comes on the heels of a number of positive developments, following on from the company’s initial announcement that it is set to tap the global blockchain market, which is expected to grow from US$411.5 million in 2017 to US$7,683.7 million by 2022. However, the size of the market share IOT Group can secure remains to be seen at this stage, so if considering this stock for your portfolio do your own research and seek professional financial advice. Many forward-thinking companies and pundits recognise blockchain as an effective way to bring scalable, decentralised security and trust to IoT devices and applications, which are themselves similarly distributed. 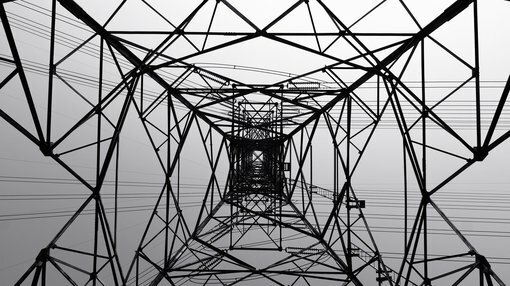 Following successful completion of the Hunter Energy deal and subsequently locating its proposed blockchain services and infrastructure business directly at the Hunter Energy power station, IOT Group will have direct access to power at wholesale cost and without the additional charges and costs associated with power transmission, including grid costs, poles and wires, and electricity retailer margins. To develop blockchain revenue streams, IOT Group has incorporated a subsidiary, IOT Blockchain Advisory Service Pty. Ltd., and is looking to partner up with blockchain specialists to monetise its blockchain opportunities in light of the proposed BAC. IOT Group has also incorporated IOT Blockchain Pty Ltd as an additional subsidiary to develop its BAC strategy, which includes developing the complex itself within the power station. IOT Group is currently in negotiations with a major data complex builder/developer and service provider to co-locate a data complex at the Hunter Energy site. IOT Group’s intention is that buildout costs and development costs of the proposed BAC and data centre will be substantially covered by a third-party developer. IOT Group is also in discussion with suppliers to deploy the BAC, providing Hunter Energy is able to successfully recommission the power station. Blockchain is like a full history of a financial institution's transactions; each block is comparable to an individual bank statement. As it is a distributed database system, serving as an open electronic ledger, a blockchain has the ability to simplify business operations for all parties. As a result, this technology is attracting not just financial institutions and stock exchanges, but myriad companies working within a spectrum of industries as diverse as music, diamonds, gold, power, insurance, and IOT devices. This kind of electronic ledger system could also be effectively applied to voting systems, weapon or vehicle registrations by state governments, medical records, and even for confirmation of ownership of valuable items such as artwork. While mainstream financial institutions were initially hesitant to explore these technologies, they have now started investigating blockchain’s ability to provide generous cost savings by allowing back-office settlement systems to speedily process trades, transfers and other transactions. Blockchain is also one of the most coveted spaces on the ASX right now. ASX-listed companies with leverage to this disruptive technology have been on a high over the last year. The blockchain boom has seen uplifts for shareholders of tech stocks like Transcendence Technologies (ASX:TTL), DigitalX (ASX:DCC) and First Growth Funds (ASX:FGF).